V-Technology announced that it is establishing a new organic electronics subsidiary that will develop a next-generation OLED deposition technology that V-Technology refers to as fine hybrid mask (FHM). Total investment in this new company is estimated at 5 billion Yen ($46 million USD) for the next 2-3 years. The facility is scheduled to be completed in August 2018 and V-Technology will start shipping mask samples in October 2018. V-Technology's FHM is based on an electroforming method and the masks have a non-tension structure. V-Technology says that the total mask weight will be one tenth of current regular FMM masks, which will lower bending dramatically. V-Technology's already demonstrated an FHM that achieves 738 PPI. In addition to this new business unit, V-Technology also announced that it acquired Lumiotec, an OLED lighting developer established in 2008 by Mitsubishi Heavy Industries, ROHM, Toppan Printing and Mitsui. V-Technology hopes that the Lumiotec deal will close in April 2018. 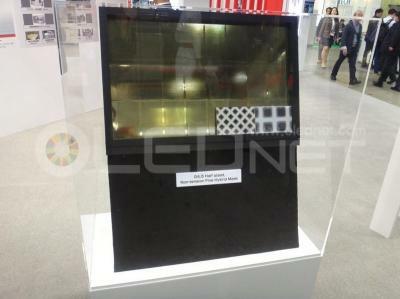 Lumitec's technology is based on Multi-Photon Emission (MPE) stacked device structure and the company has released several OLED panel generations in past years . 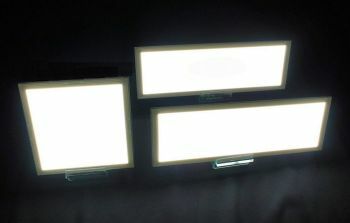 Lumiotec started producing commercial OLED lighting panels in 2011 but the company never achieved true mass production capabilities. The company's current production capacity is about 60,000 panels per year. Here's some more information on Lumitec's technology, from 2012. It will be interesting to see what is V-Technology's plans regarding Lumitec's technology and production facilities.